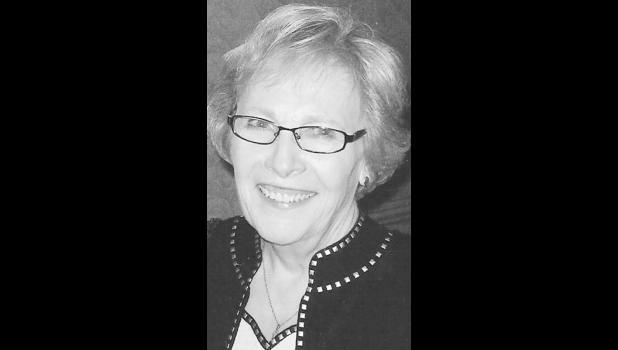 Dorothy L. Gerhardt, Topeka, passed away on May 27, 2018, at Midland Hospice after a long struggle with cancer. She was born on March 31, 1944, at Steele City, Neb., to Orvel W. and Lucille Meyer. She was baptized and confirmed at St. John’s Lutheran Church, Palmer. She graduated from St. John’s Lutheran School, Palmer, in 1958 and Linn Rural High School, Linn, in 1962. She received her Bachelor of Science in Business from The University of Kansas in 1968 and was awarded the Senior Residential Appraiser (SRA) designation by the Appraisal Institute in 1986. She married Ed Gerhardt on July 31, 1965, at St. John’s Lutheran Church, Palmer. She is survived by three children, Mary Gerhardt of Holton, Gary Gerhardt of Topeka and Karen (Todd) Marshall of Dumfries, Va.; and two grandchildren, Nicholas and Zachery Marshall. She is also survived by two sisters, Anne Will, Olathe, and Jean (Ron) Barta of Evergreen, Colo.; and a brother, Dr. Warren Meyer (Nanci), Eagle, Colo.
She worked as secretary for the City Manager of Emporia and in the Emporia State University Small Business Development Center, as a loan officer and appraiser for Columbia Savings Association of Emporia and as an appraiser for the Kansas Department of Revenue. She also operated her own appraisal service for many years and served as a secretary for members of both the Kansas House and Senate. She served as executive secretary of the Kansas Chapter of the Appraisal Institute for 10 years, and for 12 years as a Republican Precinct Committeewoman in Lyon County. She was a member of Faith Lutheran Church, Topeka. She was a quilter with Trinity Lutheran Church, Topeka, enjoyed gardening, and working with stained glass. She has been cremated and private burial services will be held in Netawaka Cemetery, Netawaka. A memorial service will be held at 4 p.m. on Thursday, May 31, at Faith Lutheran Church, 17th and Gage, Topeka. Memorial contributions may be made to the Museum of the Kansas National Guard, 125 S.E. Airport E. Drive, Topeka, KS 66619.